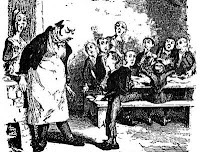 A Dickensian tale of a journey from rags to riches. In an Oliverish twist of fate, our young hero is cast forth into the cruel world by his stepmother R(osi)e. However, avoiding the Scylla of despair or the Charybdis of sloth, our hero sets forth on an odyssey of discovery, finding friends and family, a home for his unused junk and a toxic waste site for old photographic chemicals. In an irony worthy of Trollope, the once-feared Monster turns out to be his best mentor, guiding him as he crossed the river with a fair wind to save Dreamland from the clutches of the dread beast, economicus meltdownicus. 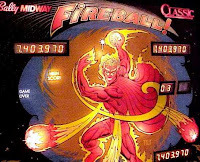 I decided to reset the all time high score on my Fireball Classic pinball machine to start 2009. Mike Wendell had the new record of 2,863,830 for about a day, but this afternoon, I took care of that and put up the new number to shoot at - 3.992,670. I think I've gotten higher than that score 3 times, so it may stay for awhile. The all time record at the Dreamland Game Room still stands as 7,403,970.